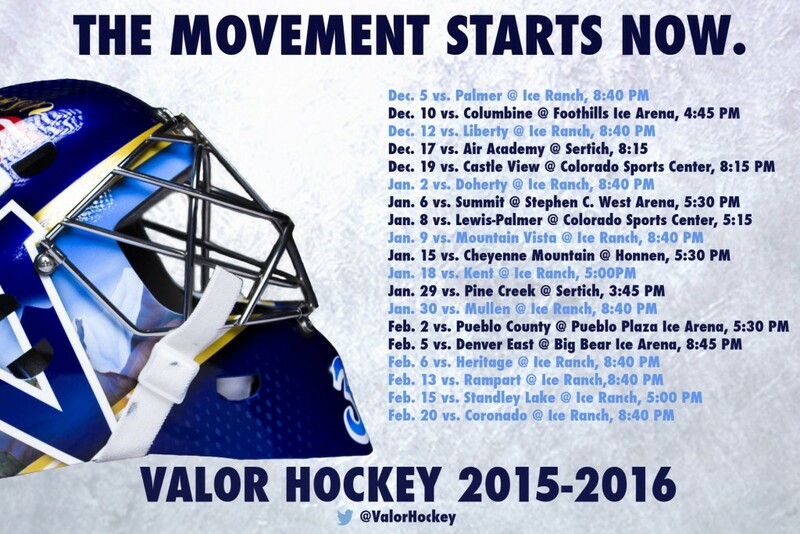 It all begins this Saturday, December 5th at 8:40 p.m. against Palmer High School. Who would have expected the journey taken by one of college hockey's most accomplished head coaches to continue at the high school level? After his abrupt firing at DU after 19 successful years and the subsequent move to assistant coach of the Stanley Cup runner-up Tampa Bay Lighting, Gwoz has made a surprise return to Colorado to work behind the bench of a struggling high school hockey program that ended last season 3-15 with only 11 players. Regis Jesuit and Cherry Creek are the current local area prep powers in hockey that Valor hopes to join. Said Gwozdecky, "Certainly, I've always strived in trying to help young people develop a more mature attitude towards life, and I really believe I can impact these young students at Valor. It's just a great fit for me." With 593 collegiate wins, the legendary coach wants to develop amateur hockey players for a Highlands Ranch private school that also plans on building its own ice rink. Gwozdecky's name will be at the forefront of fundraising efforts of a school that quickly became a big time player in Colorado high school football. Like all Valor Christian employees, Gwozdecky will work under a one-year agreement, but stated he is there for the long haul. Coach Gwozdecky's story will playout publicly this year. Is he really at Valor for the long haul? Will he receive pressure from Wisconsin or another struggling college program to abandon Valor? How will a struggling Valor program fare this year at the hands of a coaching legend? Gwozdecky is the only person to coach in the NHL's Stanley Cup Final after becoming the first to win an NCAA championship as a player (1977 Wisconsin), assistant coach (1986 Michigan State) and head coach (2004 and 2005 Denver) . The next 'first' might be Colorado High School state championship head coach. LetsGoDU wishes Coach Gwozdecky the good luck. We will be following his progress.